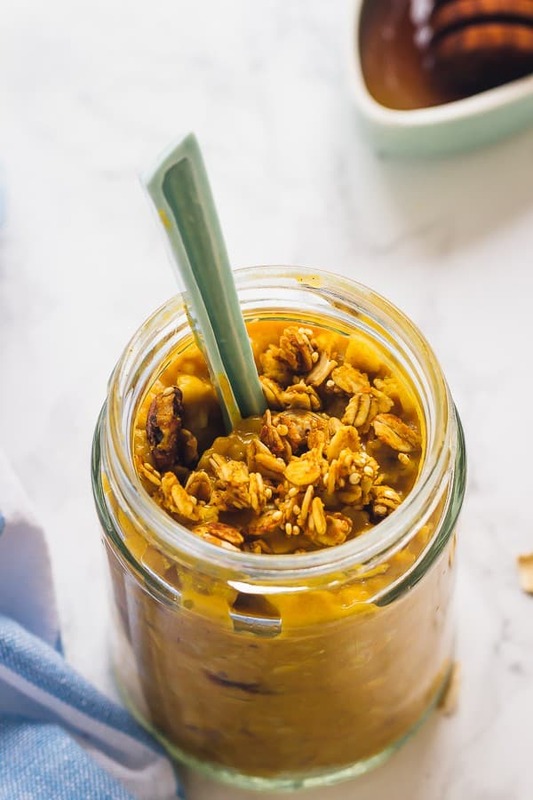 These Pumpkin Pie Overnight Oats are your easiest breakfast ever! They require only 5 minutes of prep and are delicious, filling and so nutritious! 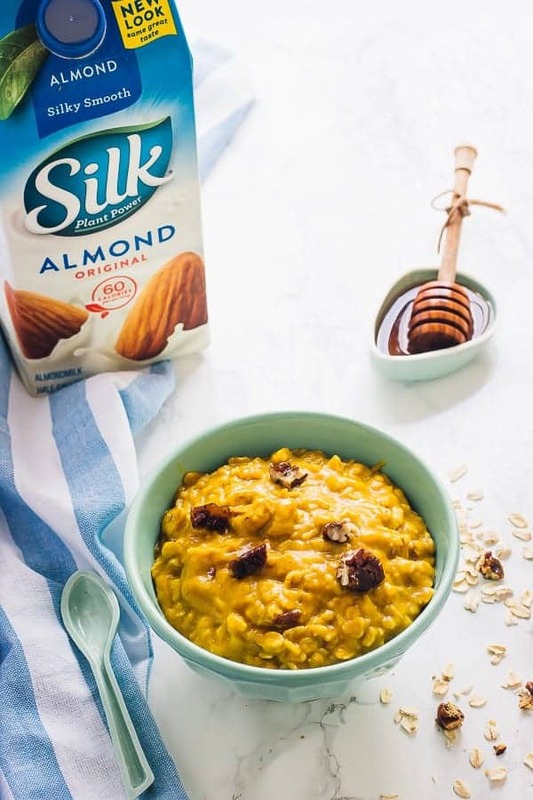 This is a sponsored conversation written by me on behalf of my favourite almond milk Silk Almondmilk! All opinions and text are 100% mine. Oatmeal is my jam. Well, not literally jam, that would be strawberry jam, but I don’t think I’ve had a meal more than oatmeal as a fact. I actually once went about three months with nothing but oatmeal for breakfast. Why? Well, you can customise it to anything your heart desires. Spring? Have oatmeal topped with strawberries or carrot cake oatmeal. Summer? Mango (amazing) oatmeal. Fall? Have pumpkin pie overnight oats. It’s that simple. 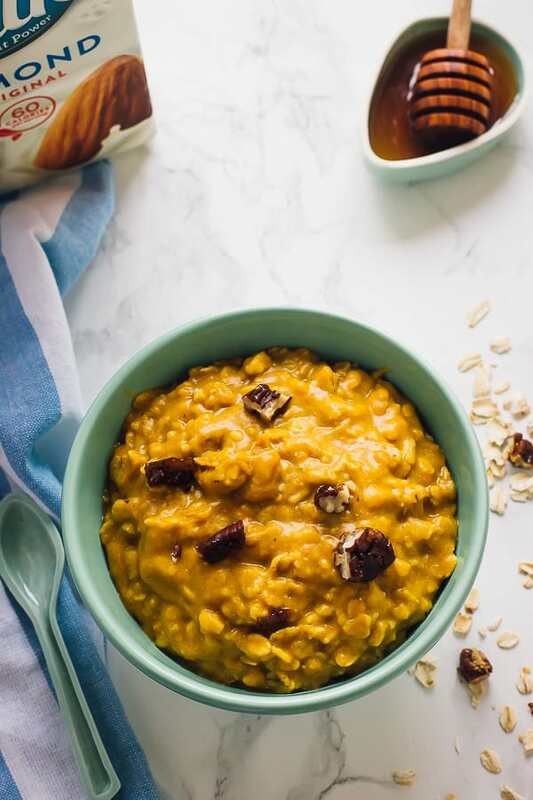 It sounds insane but these pumpkin pie overnight oats really do take only 5 minutes to prep. There are so many things to say about this oatmeal but point blank: it’s a fall staple. 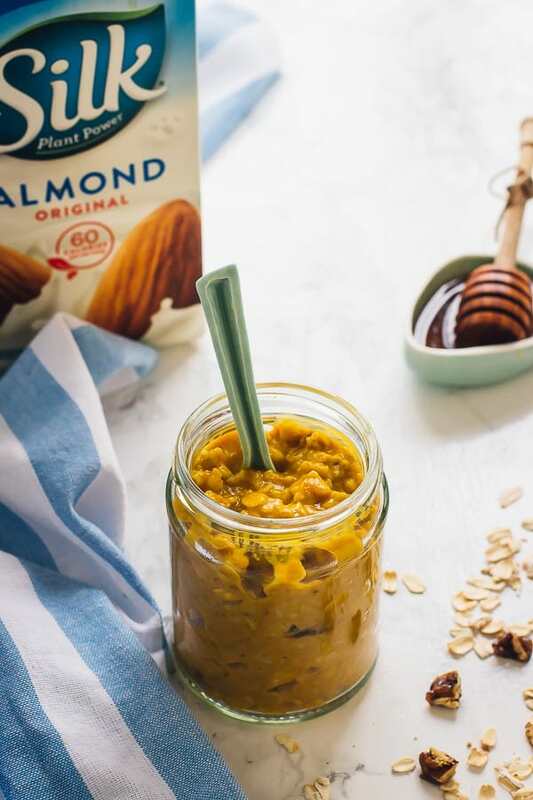 Overnight oats seems to be all the rage and for good reason – if you’re running out of the house in the morning you no longer have no excuse for not grabbing breakfast. It’s as simple as mixing your oatmeal ingredients together, and putting it in the fridge in a jar. The oats absorb the milk overnight just like they would in a hot pan over medium heat, and leave a beautiful thickened breakfast just waiting for you. The ingredients in this pumpkin pie overnight oats are pretty simple too. I use my favourite, Silk Almondmilk (p.s. are you seeing that new packaging? 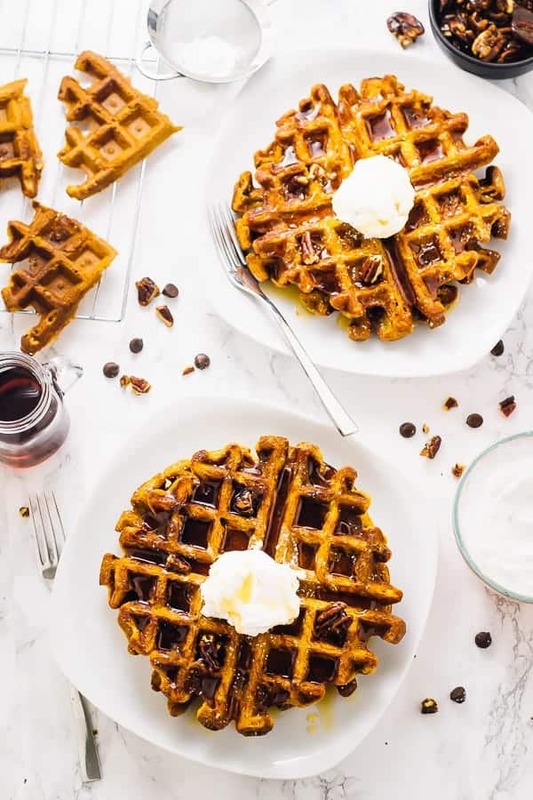 I am totally swooning), oats, pumpkin pie spice, pumpkin puree, and organic maple syrup to contribute to that pumpkin pie taste and sweeten it up. I also add candied pecans (recipe coming soon!) which just ties it all together. The best part about this recipe is that it’s 100% customisable. 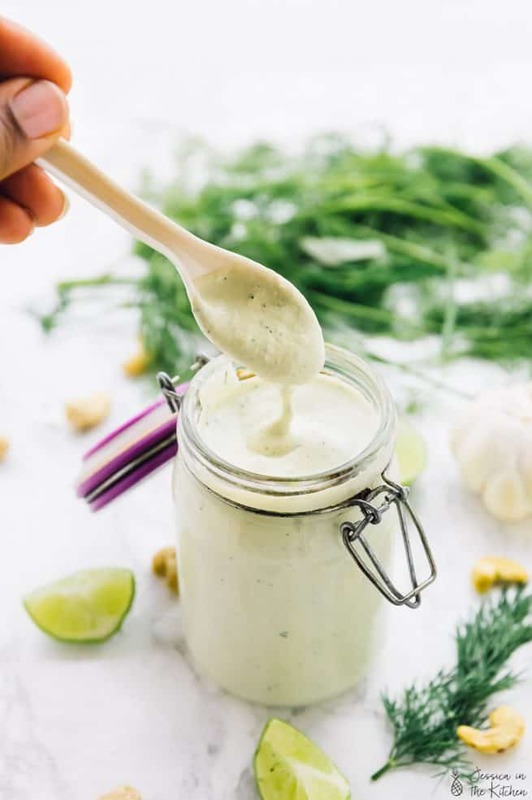 You can add more or less almond milk if you like, different spices such as nutmeg, and more or less pumpkin. It’s totally up to you and your taste buds. 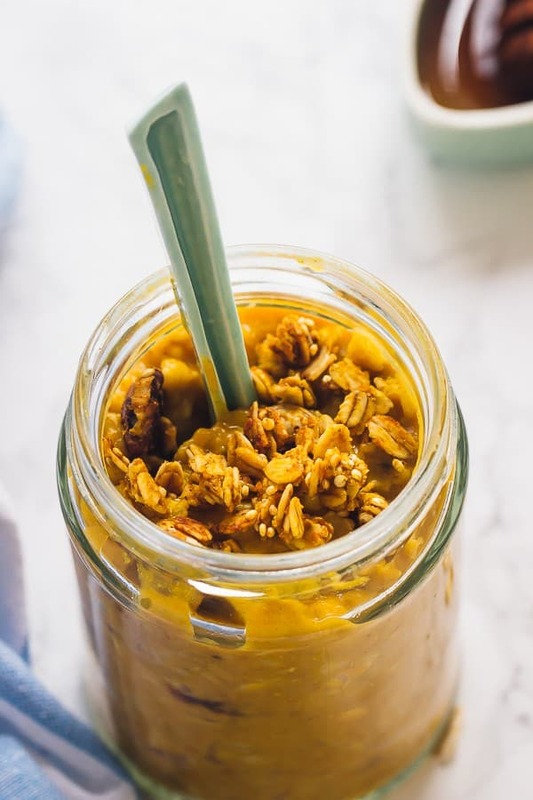 I also topped these pumpkin pie overnight oats with some pumpkin spice granola which added even more delicious texture and lets you feel like you’re having dessert for breakfast even though it’s just all wholesome, delicious ingredients. Every ingredient used contributes it’s own magic, to the point that I’m trying to figure out why I don’t have overnight oats more often! Silk Almondmilk is my #1 almond milk choice, and it’s perfect if you have allergies, are vegan or just want to keep everything plant based. It also adds protein and lots of calcium to your meal. The pumpkin adds tons of great fibre, vitamin A and protein. 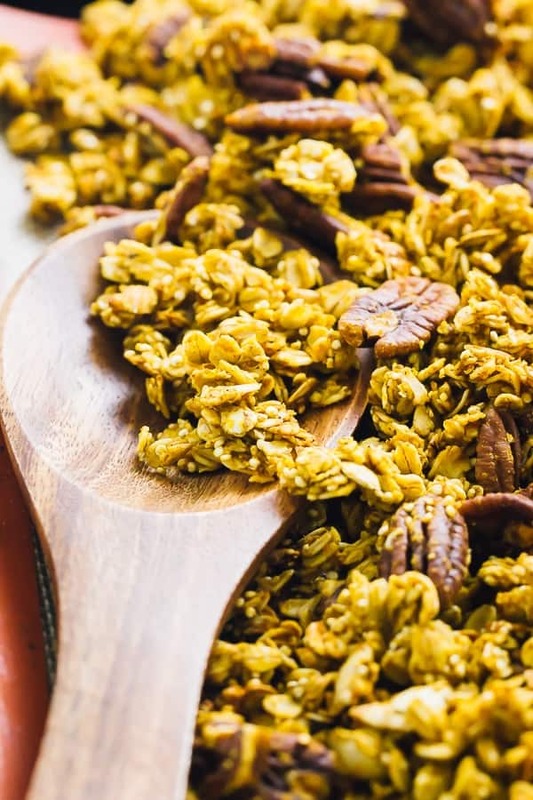 Pumpkin spice adds lots of great flavour, oats add protein and fibre and the organic maple syrup is healthy and adds some delicious sweetness. 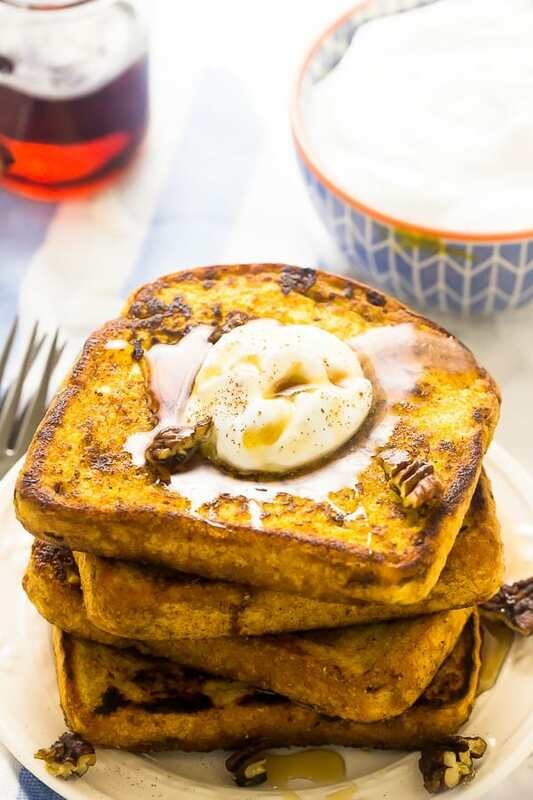 All in all, you have a great wholesome plant-based breakfast that tastes like dessert. That’s considered a real win in my books, don’t you think? If you try this Pumpkin Pie Overnight Oats please let me know in the comment section below, or tag me on instagram with the hashtag #jessicainthekitchen! For more exclusive recipes follow me on Instagram AND on Snapchat: jessinkitchen. 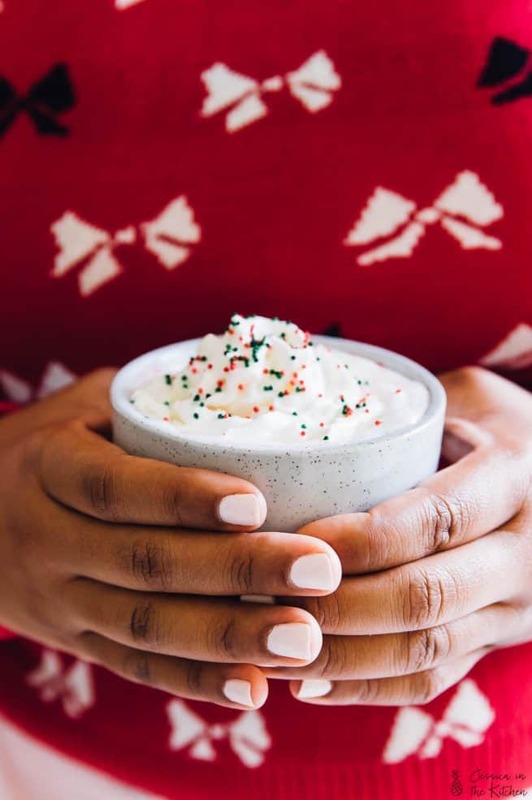 The next morning, remove and eat in the jar or place in a pot over medium high heat to reheat the oatmeal, or in the microwave to reheat if a microwave safe jar for about 45 seconds. Top with candied pecans, raisins, coconut flakes and more maple syrup (or anything else you want!). Enjoy! This recipe is vegan and gluten free. You can adjust the quantities of pumpkin if you’d like less pumpkin to just 2 tablespoons. You can also adjust sweetness levels after it’s set up in the fridge and add more maple syrup if you desire. You can also use agave nectar instead. I love my overnight oats, Jessica, and this pumpkin pie version is the ultimate flavor for fall! The color is so pretty, too! Did you get canned pumpkin puree in JA? Or did you use our local pumpkin to make the puree? I made the pumpkin puree which you can find the recipe here: https://jessicainthekitchen.com/how-to-make-pumpkin-puree/ – hope that helps! Canned pumpkin puree does sell in the supermarket but it’s really easy to make and tastes much better! If I doubled the recipe in anticipation of it being breakfast for a couple days, how long would it last in the refrigerator? Or is that not recommended at all?